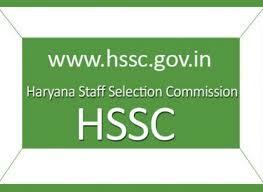 Haryana Staff Selection Commission has invited applications for 7710 posts including sub-inspector (male), constable (male), and constable (female) under the Haryana Police Constable Recruitment 2018. Eligible candidates can apply through prescribed format till May 28, 2018. Educational Qualification: Constable: 10 + 2 pass or equivalent from recognized board of education Candidates should have studied Hindi / Sanskrit till matriculation or Higher Study. Sub Inspector: Graduate or its equivalent qualification from recognized board / institute as well as candidates should have studied Hindi / Sanskrit till matriculation or Higher Study. Candidates will be short listed on the criteria of their presentation in written paper, physical fitness test, physical screening test and finally on interview. Eligible candidates can apply online through the official website www.hssc.gov.in 28 May 2018.